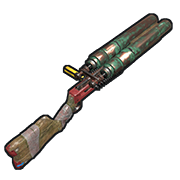 The Double Barrel Shotgun is a lower tier, close ranged weapon capable of one-hitting enemies within its effective range. It's best used in conjunction with other, longer range guns and against only one or two enemies at a time since it can only shoot two shells before requiring a lengthy reload. Furthermore, shots should only be made with it if it's likely that the majority of the pellets in a blast will connect with their target. It makes for a strong early game weapon because of its relatively low cost. 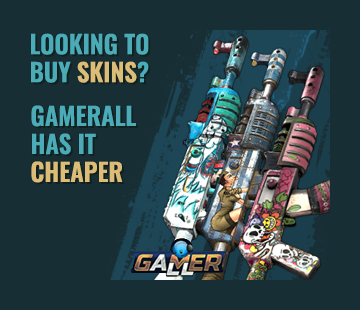 If the extra resources are available, it's a much safer and more reliable investment than the Waterpipe Shotgun since it's not as dependent on a single shot killing an enemy. Generally, unless going into an engagement that has large group of possible enemies (like a base raid or supply drop), it'll most likely be more cost effective to take a Double Barrel over a Pump Shotgun. Incredible weapon, the best equaliser. Can out DPS any other gun at close range, you can drop fully geared guys in one or two good shots. Cheap as well. Big issue with it is if you miss your shots you are exposed. Slugs start to become more viable once you've reached this line of the shotguns, so if you can't bring along a semi-rifle or python, consider using them as a way of opening up engagements. The velocity and accuracy are still a ways off from the more traditional openers,so be sure to compensate for both when choosing your fights. As far as economic-plays are concerned, two well-placed shots from a distance are both safer and (usually) easier to pull off than two right in your opponents back, especially if he has a teammate nearby.